In case there was any lingering doubts about his presidential ambitions, Cuomo has also promised to push for a constitutional amendment. Passage was made possible last November when pro-abortion Democrats won control of the state Senate which had held the RHA at bay so long as Republicans were in the majority. In addition to unleashing abortion on demand up until birth, the Reproductive Health Act also gives pro-abortionists many of its cherished goals. For example, non-physicians will be able to perform abortions. During debate in the Senate, Sen. Daphne Jordan talked about how the bill contributes to a “throwaway” culture. 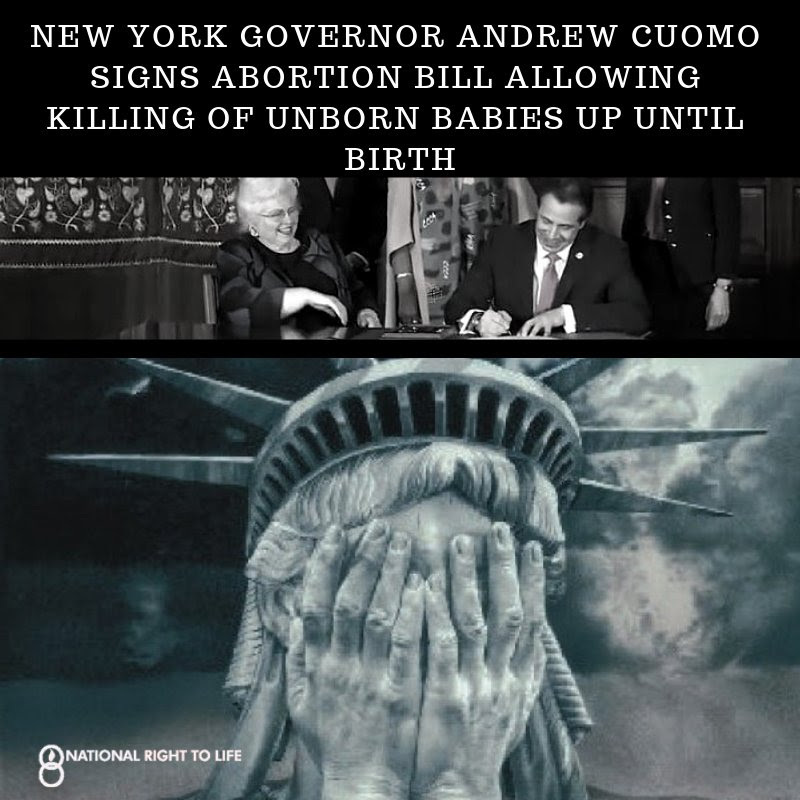 The RHA “decriminalizes all forms of abortion in New York, even in domestic violence cases where an attack on a woman leads to the loss of her fetus,” Karen DeWitt of WRVO reported. Republicans “stressed that concern Tuesday, holding a news conference at the Capitol with Livia Abreu, an Army veteran from the Bronx who lost her baby in a domestic-violence attack last year,” according to Joseph Spector and Jon Campbell of the Democrat & Chronicle. “It is unconscionable to think that anyone would deprive a pregnant domestic violence victim the justice she deserves,” said Sen. Young.